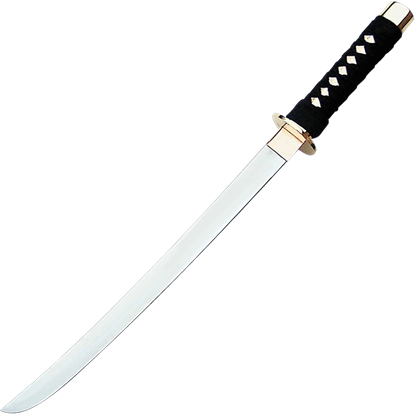 The Japanese Wakizashi is the shorter of the two swords carried by the Japanese Samurai warrior. 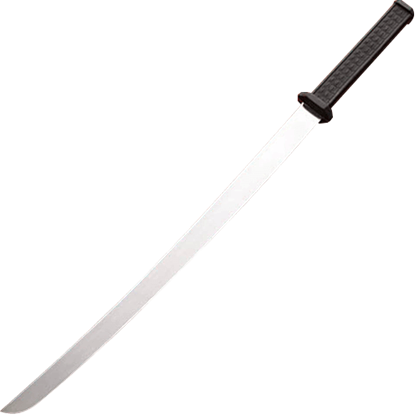 The blade of the Japanese Wakizashi is about eighteen inches, which is like the long sword but the fittings are often more elaborate. 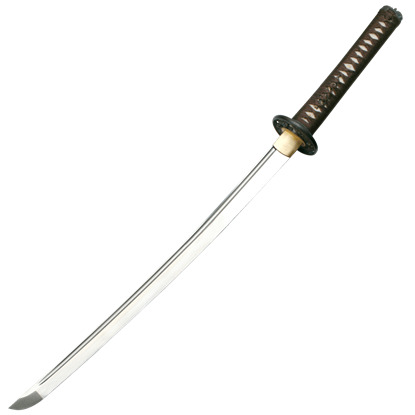 The Japanese wakizashi was normal carried and was taken into the house and laid on the floor by the owner, while the Japanese katana was left at the entrance of the home. 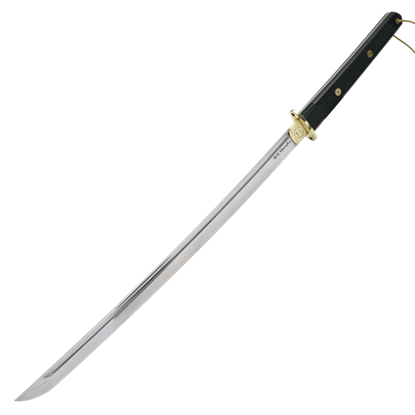 The Japanese wakizashi was used as a supplementary arm in fighting and also for ceremonial suicide. We have listed all the fully functional Japanese wakizashis that we carry from top manufacturers around the world. These Wakizashi manufacturers include Cold Steel, CAS Iberia and Hanwei. 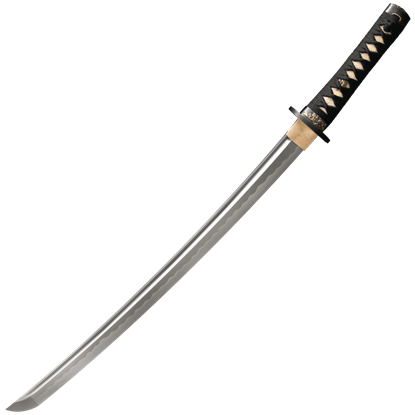 Our Japanese katanas are highly detailed and constructed of the finest steel giving them strength and durability. Offering a modern spin on the traditional Japanese blade, the Brass Menuki Samurai Wakizashi makes an excellent collectible weapon to add to your collection. This functional oriental sword possesses a striking appearance. The quality of a Japanese blade is rarely called into question, as they are considered to be some of the finest blades in the world. 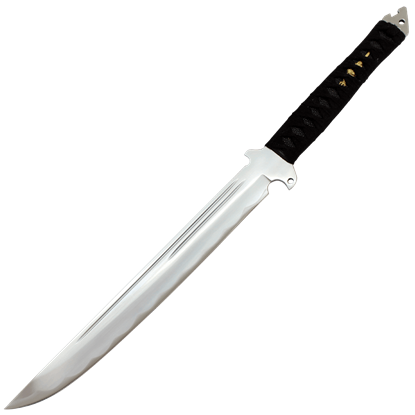 The Cobra Steel Wakizashi takes that quality and cutting ability and turns it into a survival knife. Shown as serpentine water deities, Japanese dragons appear in many legends and pieces of artwork. The Copper Dragon Wakizashi with Dragon Scabbard draws upon the mythological creature for the inspiration of its elegant ornamentation. Elegance and skill are the hallmarks of traditional Japanese blades. The Dragonfly Wakazashi honors the legacy of samurai with skillful craftsmanship and beauty made larger than its feudal counterpart to better suit the modern warrior. Mirroring the craftsmanship and materials of the Gold Lion Katana, our Gold Lion Wakizashi is an equally beautiful oriental blade. 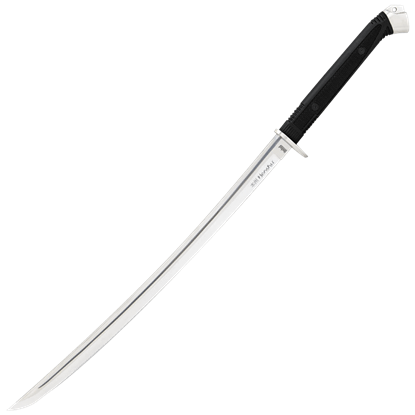 The functional wakizashi serves as an exquisite companion sword or stand-alone weapon in its own right. The excellent craftsmanship and hand forged quality of the Golden Dragonfly Wakizashi make this a sword for the collector searching for a work of art. 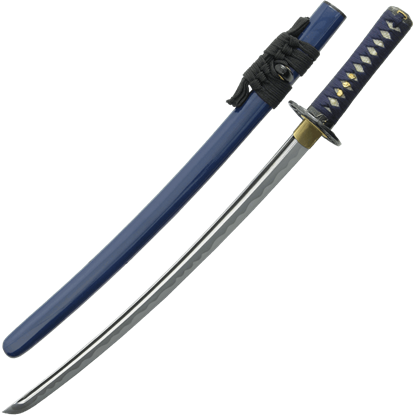 This wakizashi is impressive, to say the least, and will look stunning in your home. The elegantly simple lines of the Golden Oriole Daisho (SH1018, SH1019) have long been favored by admirers of the Japanese sword. Add the Golden Oriole Wakizashi to your collection as a beautiful example of this style. 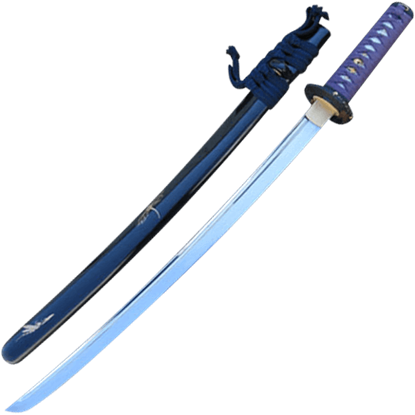 Wakizashi swords were adopted by samurai in feudal era Japan to complement their larger katanas. The Golden Warrior Samurai Wakizashi is a splendid and functional example of this historic style of Japanese weaponry. 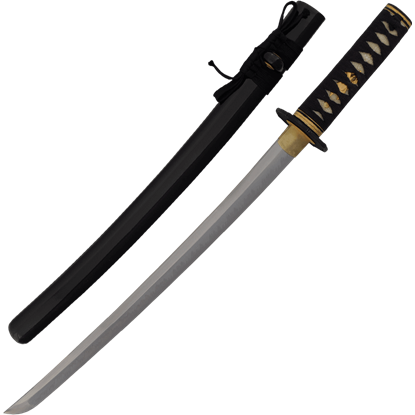 The Honshu Boshin Wakizashi is a functional weapon of effortless elegance and style. With a matching satin finish on the 1060 high carbon steel blade, guard, and pommel, this battle-ready sword makes a sleek addition to any arsenal. 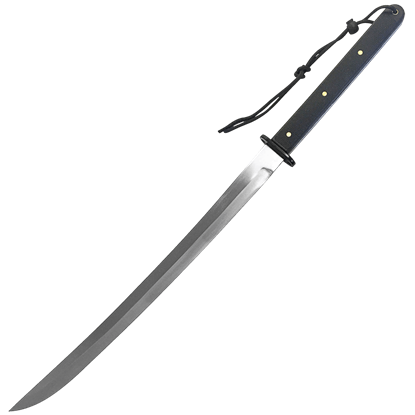 Combining traditional and modern ideals, the Honshu Tactical Wakizashi is dependable like its elegant predecessors. Do not be distracted by the beauty of this sword - it is a devastating weapon when properly manipulated.